Greenwood House’s Executive Director Rick Goldstein, from left, with Denise Siegel, gala co-chairs Lisa Tobias and Linda Grenis, and Martin Siegel. 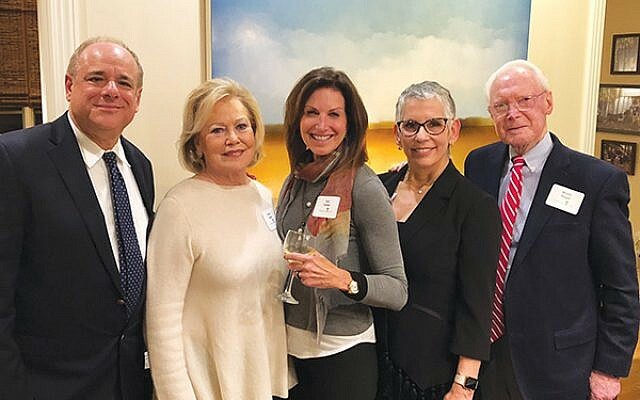 GREENWOOD HOUSE will honor Denise and Martin Siegel of Hamilton Jewelers at the 2019 “Stand Up & Celebrate” gala on May 18 at the Hyatt Regency Princeton. The Siegels’ involvement with Greenwood House began in the 1940s when Martin’s grandparents were residents at the organization’s original Trenton location. 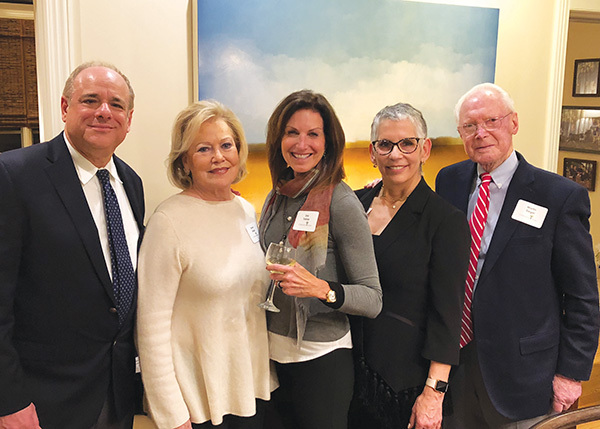 Many decades later, Denise and Martin have served on Greenwood House’s board of directors, spearheaded numerous fund-raising events, and endowed The Martin and Denise Siegel Rehabilitation Unit. The 2019 gala is sponsored by Hamilton Jewelers and Norman’s Hallmark, and is underwritten by attorney Victor Walcoff. Susie Essman of HBO’s “Curb Your Enthusiasm” is the featured entertainment. Tickets are available by contacting Neil Wise at nwise@greenwoodhouse.org or 609-883-5391, ext. 380.